Based on traditional chinese medicine, we are leading service provider of natural therapy and scanning services. Meridians are trail of positive and negative GI (energy) that carries on some of the contact between the various parts of human being. Acupuncture Medicine is a complementary medicine based on Traditional Chinese Medicine (TCM) for management of many ailments. It now has been approved by WHO & Govt of India to be practiced by qualified medical professionals who have received special training in this field. It is an alternative therapy in China. It is one of the world famous methods for curing diseases like neuralgia, paralysis, headache and other acute and chronic diseases. Who has got many years experience is the head of the department. Asthma, Allergy, Back Pain, Paralysis etc. Acupuncture is a form of treatment which involves piercing of needle at some specific points in the body. 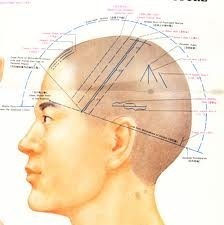 It is presumed in Stimulation of these points facilitates free flow if energy through the meridians (energy channels). Traditional Chinese medicine believes that block of energy in meridians causes symptoms. Acupuncture is among the oldest healing practices in the world as part of traditional Chinese medicine. It is based on the concept that disease results from disruption and imbalance in the forces of yin and yang. Practices such as herbs, meditation, massage, and acupuncture seek to aid healing by restoring the yin-yang balance. It is a Drugless theraphy developed by Chinese. It has fantastic results in Acute & Chronic Disorder specially in Spine & Joint problems, Respiratory problems, Weight Reduction and other Hormonal Imbalances. It has no side effects at all. Treatments are given in courses of 15 to 20 sessions in each course. Acupuncture is the stimulation of specific acu points along the skin of the body involving various methods such as the application of heat, pressure, or laser or penetration of thin needles. It is a key component of traditional Chinese medicine (TCM), which aims to treat a range of conditions.It is a form of complementary and alternative medicine. Acupuncture is one of the main forms of treatment in traditional Chinese medicine. It involves the use of sharp, thin needles that are inserted in the body at very specific points. This process will adjust and alter the body's energy flow into healthier patterns. Acupuncture is used to treat a wide variety of illnesses and health conditions.